In the experiment, 1.5 MW of heat energy was transferred which is equivalent to heat energy demand of 1000 homes. The Sabre air-breathing rocket engine, reportedly over 3 times faster than speed of sound, has been successfully tested by the UK engineers. Reaction Engines Ltd. designed the engine to take airliners around the world in few hours and drive space planes to orbit. According to a press release by Reaction Engines, the key element of revolutionary Sabre engine is precooler. The precooler technology is a potential enabling technology for advanced propulsion systems and other commercial applications. All the test objectives have been achieved by precooler heat exchanger in first phase of high-temperature testing. The future tests for the precooler have been planned at even high temperature, cite sources. The unique precooler has reportedly quenched a 420°C intake airflow successfully in less than 1/20th of a second. This replicates the thermal conditions corresponding to flight Mach 3.3. The Mach 3.3 matches the record-breaking speed of the American SR-71 Blackbird spy plane. In the experiment, 1.5 MW of heat energy was transferred which is equivalent to heat energy demand of 1000 homes. Sabre will reportedly burn its fuel in a stream of air scooped from atmosphere at slow speed and low altitude and act as a jet. It would switch into full rocket mode at high speeds and high altitude and combine the fuel with small supply of oxygen that vehicle has carried aloft. The revolutionary technology of Sabre has wide applications in high-speed flight as well as aerospace industry. Sabre is useful where heat-management is a challenge and, miniaturized, ultra-lightweight and high-performance solutions are required. 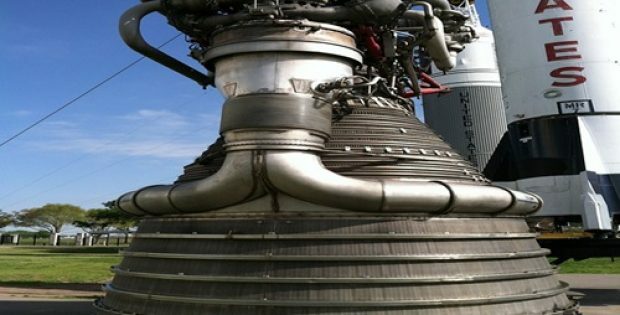 The Reaction Engines Ltd. has started to progress towards demonstration of the core part of the engine which is expected to get under way by next year. Sabre is being developed by the Oxfordshire company with the support of Rolls-Royce, Boring and BAE Systems. All are keenly waiting to see the positive results of many years of refinement on the concept of engine.